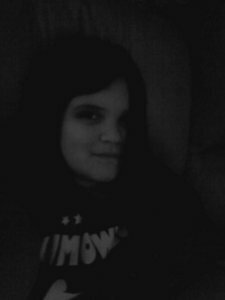 this is a picture of me when i was 11 (i am black and gray) do Du think i am pretty? I am sick and tired of people posting these type of questions. Not only is posting a picture of yourself a bad idea, but it really doesn't matter whether oder not you're pretty. Do Du really want the opinion of strangers who might be 50 Jahr old creepers? I think that posting these type of Fragen is pathetic. Don't rely on Zufällig people to boost your self-esteem. Hiding 6 comments... click to show. IDK cause 1 i cant see u and 2 it was wen u were 11!!! Hiding 5 comments... click to show. I don't know. Du decide for yourself. u r...emm..really nice..wanna b frnds? That's a terrible thing to say!!! Du shouldn't need the opinion of others to feel good about yourself. Du shouldn't rely on strangers' opinions to feel good about yourself. We're Internet. Du don't even know whether we're real oder not. We may be just complimenting "Oh, you're gorgeous!" but in our minds we may(I said, just MAY) be thinking "WTF is that girl doing? Posing pictures in order to get compliments from Internet strangers." Don't do that again, okay? No hard feelings, though. Hi, this is coming from a 52 yr old non creeper. Your are cute. I have to agree with those who sagte it's not a good idea to post your picture and ask if your cute. Coming from someone my age, I can say that it may make Du look like Du are craving attention. Unfortunately it's true there are some my age that would give Du Mehr attention than Du bargined for. Du seem like a nice girl. Believe that! It really is Mehr important who Du are on the inside than the outside. Once people get to know you, it's what they see on the inside that will determine the attraction. Have a great day. THANKS and u have a great Tag to and r u really and 52 Jahr old creep? I sagte I am a 52yr old NON creeper. Yes I'm 52, but I am Von no means a creep oder anyone to be concerned about. I only offer an opinion when I think I can help oder be supportive. Be good to yourself. God Bless.